Created by the underworld - sworn to destroy it! 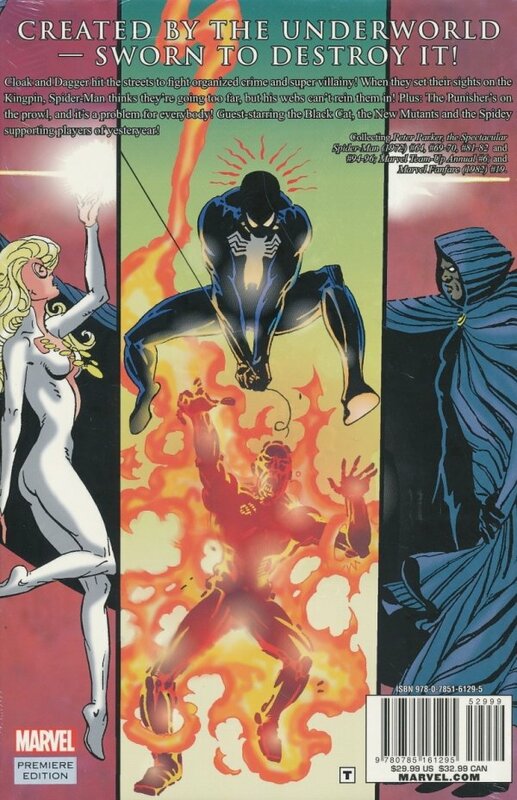 Cloak and Dagger hit the streets to fight organized crime and super villainy! When they set their sights on the Kingpin, Spider-Man thinks they're going too far, but his webs can't rein them in! Plus: The Punisher's on the prowl, and it's a problem for everybody! Guest-starring the Black Cat, the New Mutants and the Spidey supporting players of yesteryear! Collecting PETER PARKER, THE SPECTACULAR SPIDER-MAN (1972) #64, #69-70, #81-82 and #94-96; MARVEL TEAM-UP ANNUAL #6; and MARVEL FANFARE (1982) #19.